Yipee! 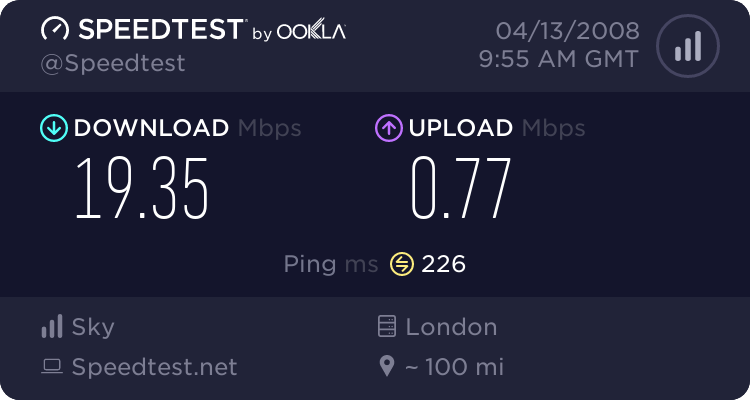 My O2 broadband is finally up and running. I stayed up till the wee hours after returning from London to get it running. The process was very simple. All I need to do was to insert the CD that accompanied the modem and follow the wizard. All the wireless settings and etc was configured automatically. Here is a snapshot of what the performance is like using wireless. Yay! I will be doing heaps and heaps of web development over the weekends!